The streaming service Twitch will allow users to buy games in a new streamer-supporting initiative. The process will allow players interested in specific broadcasters to be able to purchase games and allocate them a cut. A “Buy Button” will be implemented this spring (it will be somewhere bellow the streamer). Streamers will get 5% of the sale, with the buyer getting a randomized Twitch Crates. The crates will include exclusive emotes and chat badges among other things. 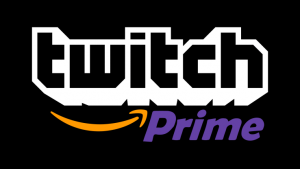 Used with the Twitch launcher (currently only used to distribute free games as part of Twitch Prime). This initiative won’t sell game keys, but will instead allow users to redeem games through existing services, such as Uplay, by linking the buyer’s Twitch account to their’s said existing service. The current launch partners include Raw Fury, Ubisoft, Tiny Build, Digital Extremes, Telltale Games, Bit Studios, Blue Mammoth Games, Campo Santo, Devolver Digital, Fred Wood, Gambitious, Hi-Rez Studios, Ink Stories, Jackbox Games, Paradox, Proletariat, Versus Evil, Trion Worlds, Vlambeer, and Double Fine. Note that the big two Valve (Dota 2, Counter-Strike) and Riot games(League Of Legends) are not part of that list. No information on whether or not they will join this program. More information will probably come up in the following weeks.